I thought I would put together a list of organization tips, tricks, storage solutions, free printables, DIY home solutions, and more in order to help you cross off all the areas on your lists this year. I’ve broken them down by area, type, or category so you can quickly find what’s most applicable to you. I hope they help! How to: Organize Mementos, Ticket Stubs, etc. What are your organization tips? Please feel free to leave a link below! Thank you for this amazing list!!! My big goal for 2014 is to get the house completely organized. It would just make life so much easier! holy moly. tha’ts a huge list and awesome ! Whoa, this a complete Pinterest post. Pinned and saving for later! I was just saying to my husband that I needed to reorganize my house, but didn’t know where to start…..ugh. This post is going to give me a good place to start. Thanks so much for sharing my posts. Off to check out the others! No problem, Ellen! That scarf organizer is one of my faves. Thank you so much for including my cheap bathroom drawer organization! Great post! You’re welcome, Carrie! I loved that idea! This list of organization tips will definitely come in handy here! Our spare bedroom just became the nursery for our second child, so we have to be more creative with the little space we have left. 2014 is all about decluttering and organizing our things. thanks so much for sharing my organizational tips….I hope they help! This is a fabulous list! Thanks for sharing one of my tips! Great list of tips! Love the paperwork organization. Working on that right now. Thanks for the lists! Fantastic list! Funny how easy it seems when you list it. Wow what a great list. I could definitely use a little help in the organization department. I’m trying to get more organized in the New Year. Thanks for all the organization tips! What a great round up, thanks so much for sharing. I’ll be hopping over to the organizational ones! What a comprehensive list. Thank you I really needed the meal planning to help me on my fitness journey! What a great use for a cart like that! I’ll have to pin it so I can come back to this list later – so detailed and awesome! Especially the print outs. Thank you. Great list! I am going to have to read them all! Can’t wait to organize my kitchen because it is such a mess right now. Thanks for sharing my lockers! Have a great day. Great list! I just attempted to organize my kitchen, but could still use more help with it! It was a good idea to share so many tips. There are sure to be several that will be of use to everyone. Awesome list! I am really bad with organization. Bahahaha! I definitely DID NOT marry an organized man! Great list! 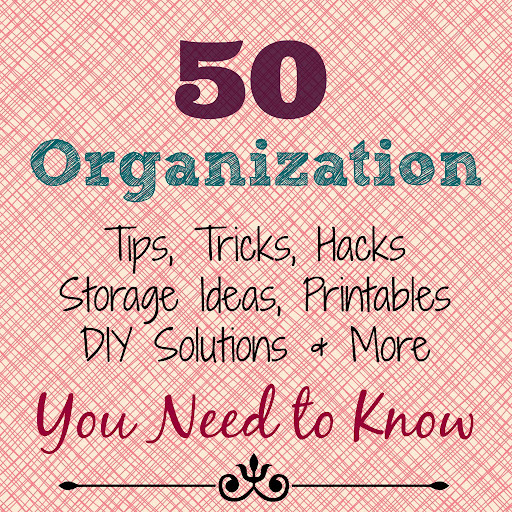 Thanks for organizing this list of organization tips for us pinned to peruse later! Thank you for putting together this great list! It is good to have it all in one place. So many great ideas!! I have a weird obsession with printables…thanks for sharing!